Famed female manga collective CLAMP is designing exclusive costumes for the PS3 home version of TEKKEN 6. Fitting as TEKKEN 5 on the PS2 also had costumes by various artists. 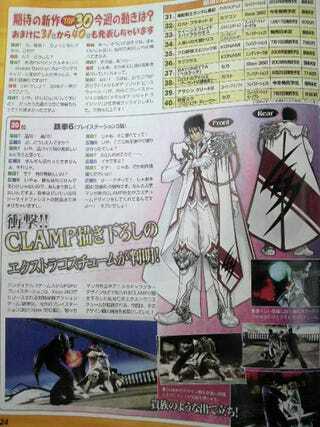 The CLAMP outfit is for Jin Kazama and pictured in this week's Famitsu. Whaddaya think?